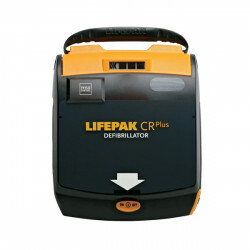 Purchase 50 or more Lifepak CR2 Fully Automatic with Handle & WI-FIs and download your free support pack worth £100. Purchase 200 or more Lifepak CR2 Fully Automatic with Handle & WI-FIs and you can have personalised covers absolutely free! The CR2 is easy to use and the only defibrillator that allows CPR compressions during heart rhythm analysis.